Decoupage, knobs and pulls, trompe l'oeil and stenciling are decorative finishes to upscale boring pieces and give them Rockstar status. And decorative painting is just the ticket! I love the look and feel of furniture with lots of character but not every piece looks amazing in its natural state. And not every piece looks great after hours of decorative painting either. Applying finish remover all the way back to the original wood is one way of giving furniture a makeover. Make sure it's not something previous like an antique or heirloom. If in doubt, get it appraised first! Remember, do this in a highly ventilated space!! But what if your piece is not worth restoring? 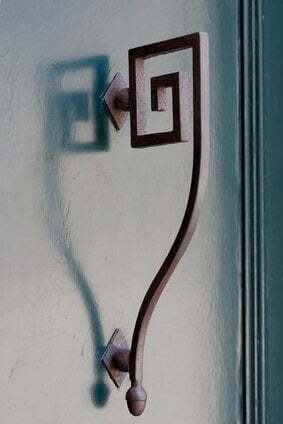 Here are decorative finishes to save the piece and get an amazing look. Decorative knobs and pulls have got to be the hands down easiest way to update a furniture piece and depends on your style and taste more than ability. Knobs and pulls range from classic, vintage and modern. Decoupage means 'cut and paste'. It can be simple or elaborate. You cut out pictures, create a pattern on your furniture, glue them down then add several coats of a decoupage medium or a varnish to seal and protect your design. From wallpaper to wrapping paper - select a similar color palette and design to complement one another. 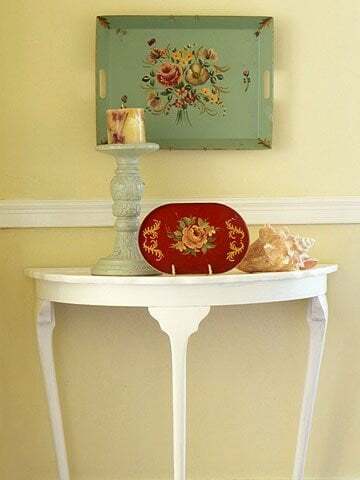 Decorative painting is great for pieces that can be saved by a new color scheme because the original wood or style of furniture are either low quality or just dull. Start by gently roughing the surface with fine-grit sandpaper. Use wood filler on dents or leave them for a distressed look. Paint furniture with enamel paint to help the object withstand wear and tear. 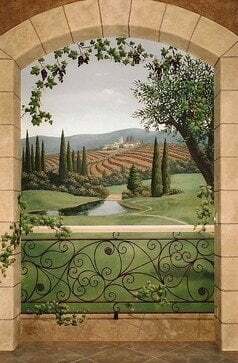 The following decorative painting techniques such as trompe l'oeil, stenciling and crackling go beyond a single color. Stenciling is very effective. Proportion is important, so match your stencil size to your furniture. You can make stencils or buy them. Stencils with overlays are easier to work with if you have several colors in your design. 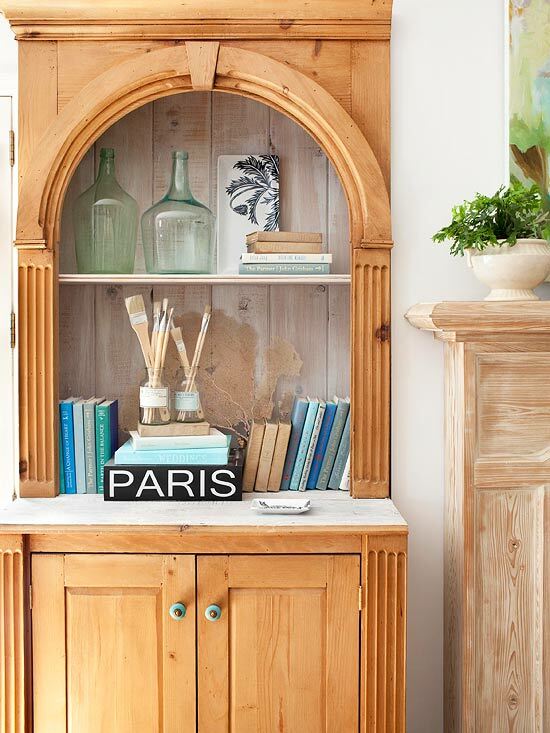 I hope you like these decorative finishes ideas to spruce up your old furniture. 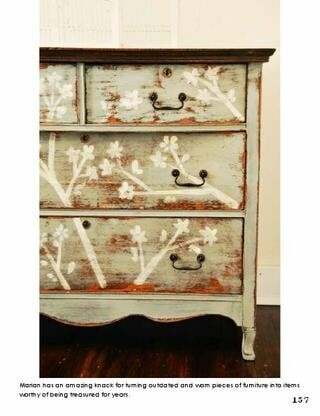 Try you hand at decoupage, stenciling, decorative painting or just add new knobs and pulls to bring it back to life. Love to get comments.. here or on Facebook! 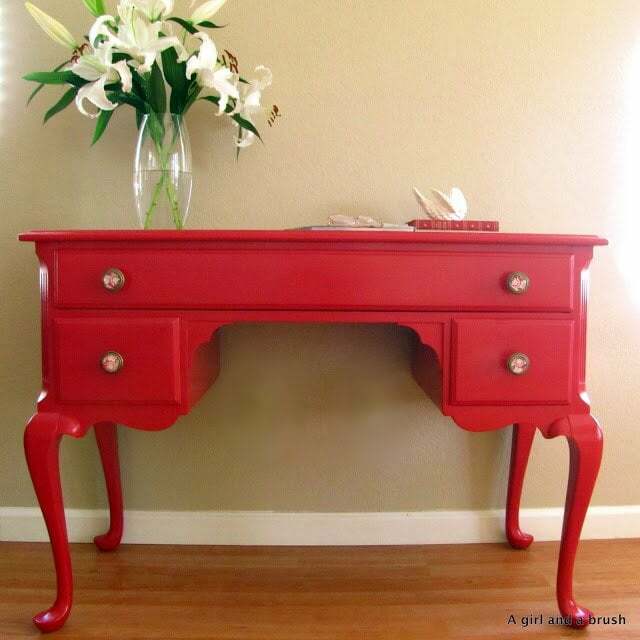 hello... would you be able to tell me the paint used on this red peice of furniture? Its gorgeous!!! thanks for stopping by - It is painted in Exotic Red by Benjamin Moore, and finished with polyurethane from the same brand. Even though it is a Low Lustre, I still think that it came out pretty glossy.